Guess who's back? Serena Williams. 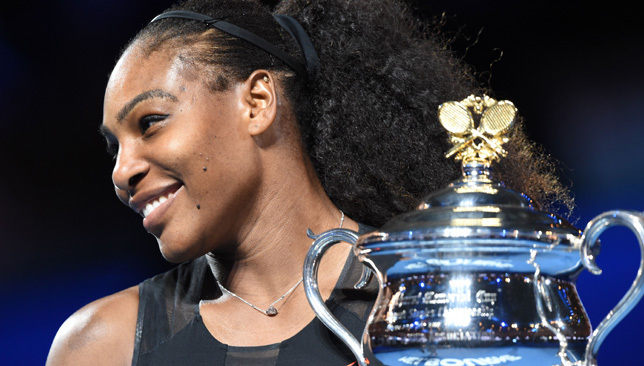 Serena Williams is set to compete at the Mubadala World Tennis Championship in Abu Dhabi against a yet-to-be confirmed opponent, Sport360 has learned. The 23-time Grand Slam champion has been away from tour since she won the Australian Open last January and has been on maternity leave since having her first child Alexis Olympia Ohanian Jr. in September. Williams will play on Saturday December 30 at Zayed Sports City, in what is a massive boost for the tournament and tennis fans in the UAE. Her opponent hasn’t been announced but it is believed she will face a fellow Grand Slam champion. The Abu Dhabi showpiece, taking place from December 28-30, had witnessed numerous withdrawals with Rafael Nadal, Stan Wawrinka and Milos Raonic all pulling out in recent days. The trio were replaced by Roberto Bautista Agut, Kevin Anderson, and Andrey Rublev, respectively. Ticket holders for day 3 can attend Williams’ match. This is the first time a women’s tennis match will take place at the MWTC. The tournament is celebrating its 10th anniversary. Tickets for the MWTC are on sale at www.ticketmaster.ae and all Virgin Megastores across the UAE. Rafael Nadal has been replaced in Abu Dhabi’s Mubadala World Tennis Championship (MWTC) draw by Roberto Bautista Agut, who made the announcement on Twitter on Friday night. Earlier in the day, Spanish daily, Marca, had reported that Nadal was pulling out of the Abu Dhabi showpiece as he continues to recover from a right knee injury that disrupted the tail-end of his 2017 season, forcing him to withdraw from the remainder of the ATP Finals in London after playing the opening match against David Goffin last month. 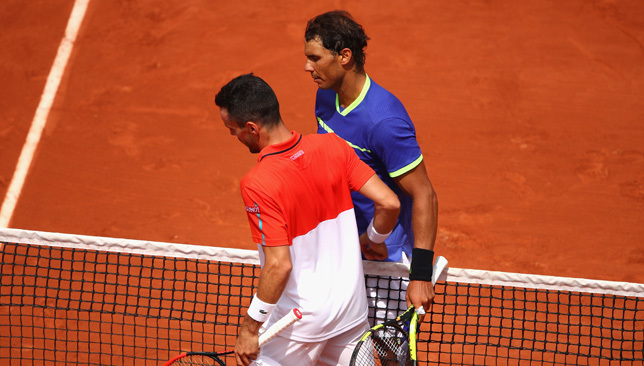 Before the tournament officially announced the change in the line-up, Spaniard Bautista Agut took to social media to share the news. Gran noticia para mí poder compartir con vosotros que disputaré el torneo de exhibición de Abu Dhabi. 👏🏼👏🏼 Gran manera de empezar la temporada y deseando que Rafa esté a punto pronto! “Great news for me to share with you that I will compete in the exhibition tournament in Abu Dhabi. A great way to start the season. I hope that Rafa gets well soon!” said Bautista Agut. Nadal reportedly cancelled a training stint with Portugal’s Joao Sousa at his academy in Mallorca that was meant to take place from December 18-22. According to Marca, the world No. 1 consulted with his doctor in Barcelona last Monday and is in a race against time to be ready for his official 2018 start in Brisbane, which kicks off on December 31. “I am very sorry and disappointed to announce that I won’t be competing this year at the Mubadala World Tennis Championship,” Nadal said in a statement released by MWTC. ”This would have been my ninth participation in the tournament where I love to play and marking the beginning of my season. Following the withdrawal of Nadal, as well as Stan Wawrinka and Milos Raonic, the tournament in Abu Dhabi (December 28-30) will now feature Novak Djokovic, who has already landed in Dubai, Dominic Thiem, Pablo Carreno Busta, Kevin Anderson, Bautista Agut, and Andrey Rublev. Rafael Nadal has withdrawn from next week’s Mubadala World Tennis Championship (MWTC) in Abu Dhabi according to Marca. The Spanish publication is reporting that the world number one is still experiencing some discomfort in his right knee, which forced him to pull out of the remainder of the ATP Finals after playing the first match against David Goffin last month. Also according to Marca, the 31-year-old had cancelled his training week with Portugal’s Joao Sousa at the Rafa Nadal Academy in Mallorca that was scheduled for December 18-22. The Spaniard’s withdrawal is yet another blow for the tournament after Milos Raonic and Stan Wawrinka pulled out earlier this week. They have been replaced by Andrey Rublev and Kevin Anderson. 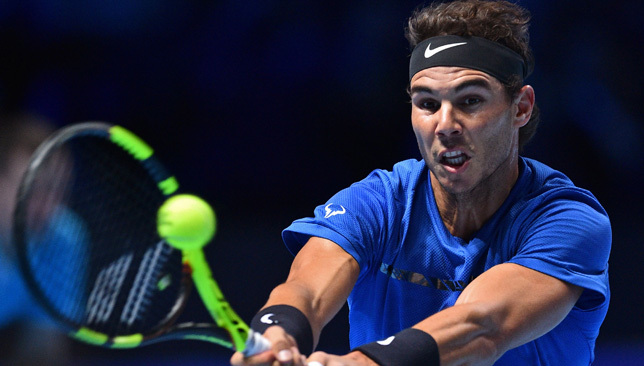 The MWTC is yet to confirm Nadal’s withdrawal and a replacement hasn’t been revealed.